Every shepherd sling is handmade by David the Shepherd. David the Shepherd performs every night before performances of The Great Passion Play in Eureka Springs, Arkansas. Visit my Frequently Asked Question page on my new website. Visit my blog and see more videos on shepherd slinging! I take special pleasure in making each shepherd sling because I know how much more the story of David and Goliath comes alive with an actual shepherd sling in hand. I know how much I enjoy using mine, and I trust that you will enjoy using yours too (just don’t use it on any giants you may know...or anyone else for that matter!). Sign up to join David's email list! This is the MOST awesome Handmade item we've ever purchased on eBay! Thanks! I used this sling at a church retreat with 1st - 5th graders and they loved it. These slings are outstanding! Best in-class paracord slings!! I'm very Happy! SUPER GREAT PRODUCT. THE BEST SERVICE EVER FROM A SELLER. GREAT PRICE. More merchants should be like this one, excellent service, excellent product! Awesome Shepherd's Sling. Super fast service & smooth transaction. Thank you. Very nicely crafted item with great service! Thanks. Kids r going to love this in SS class! Awesome sling! Fast shipping! God bless! EXCELLENT SERVICE. TOP NOTCH CUSTOMER SERVICE. GREAT SELLER. FAST SHIPPING. The leather and woven pouch shepherd slings are what a lot people would call “authentic” shepherd slings. While they do look cooler to many, the split pouch shepherd slings work just as well and are just as authentic. In fact, experienced slingers are divided 50-50 as to whether they prefer the pouch versus the split pouch. I do not personally have a preference. The leather and woven pouch slings seem to be a little better for beginners because the stone stays in the pouch little better, but the split pouch works just as well once you get used to it. David also makes shepherd slings from paracord. These modern day shepherd slings have become very popular. 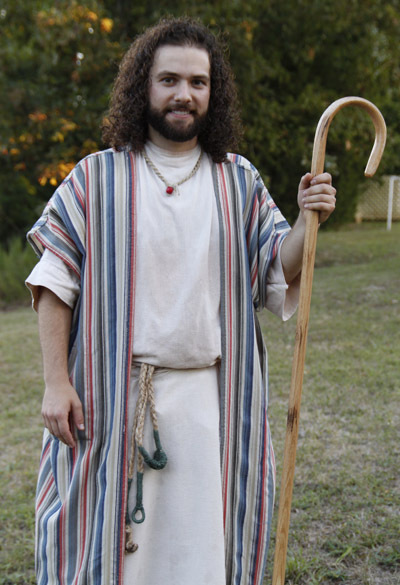 David the Shepherd in the Bible wouldn't have used a sling out of paracord of course because back in the Bible, they couldn't jump out of airplanes because they didn't exist! !